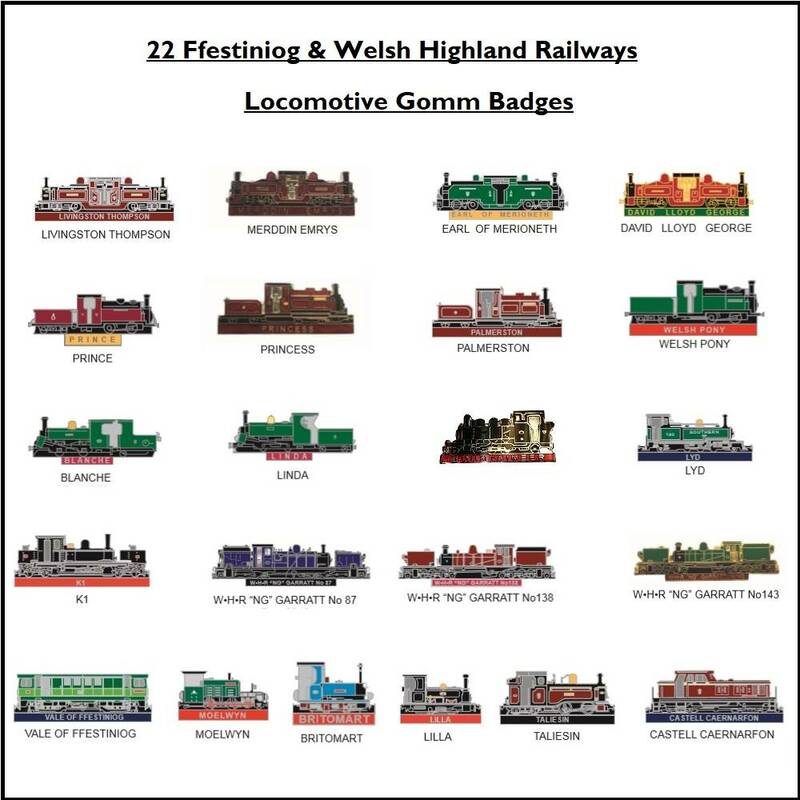 Set comprises of the following 22 locomotive badges. Princess, Prince, Palmerston, Welsh Pony, , Merddin Emrys, Earl of Merioneth, David Lloyd George, Taliesin, Linda, Blanche, Lilla, Mountaineer, Vale of Ffestiniog, Castell Caernarfon, NGG138, NGG143, NGG87, K1, Lyd, Britomart, Moelwyn. SAVE £13 on buying them individually !